i am preaching to the converted, or at least i hope i am. 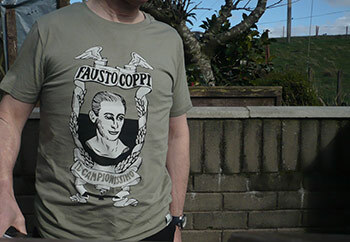 few in your midst will fail to recognise either the name or the importance of fausto coppi, though the girls in the office thought it was the italian equivalent of prontaprint. the number of books and films of the campionissimo's exploits on and off the bike would fill more than a single bookshelf, the most recent and worthy that i am aware of being rouleur's publication of the herbie sykes curated volume released just over a year ago. though no doubt most of us feel quite at home on the bicycle, there can be few who looked more at home in the saddle than fausto coppi. in fact, if truth be told, and i know i'm not the first to remark upon this, a bit like a duck out of water, coppi looked slightly ungainly on foot, yet poetry on the bike. were he renowned for his racing and climbing skills alone, it would surely be enough to justify all those books and films, but accompanying it with a rather risque personal life no doubte cemented his star in racing's firmament. at the time, however, a considerable number of his erstwhile fans were outraged and less than sympathetic to his plight. just like coppi, we're all compelled to join the civilian population at sometime or another. much as the idyll beckons, it's hard to find a regular job that demands several hours on the bicycle each day. i'm sure more than a few of us have tried. that, however, has never proved much of a barrier to inhabiting as much of the ideology in the mundane as possible, no matter the lack of recognition by the less well informed amongst the great unwashed. why else would they have invented t-shirts? tim bland, proprietor of the the rather oddly named (says the progenitor of thewashingmachinepost) stolen goat has made it his life's mission, since 2012, to bring the awesome direct to our letterboxes by offering a wide range of casual clothing to keep the pelotonese well equipped in the less than subtle art of personal identification. just as members of special branch wear identifying, yet subtle pin badges, wandering through any anodyne shopping mall or averagemarket wearing a garment emblazoned with the words fausto coppi may, at the very least, receive a knowing nod from a passing stranger. when accompanied by an appropriate illustration, how can it fail? i know what you're thinking, because it's exactly what i was thinking too; i've seen better images of fausto on the front of a t-shirt. but a certain authenticity ameliorates our partial disappointment. screenprinted on an organic cotton shirt by scotland's route apparel, the illustration of coppi was inspired by vintage razor blade wrappers. now all is perfectly clear, bringing with it a large helping of awesome (sorry daniel), and though i was originally of a mind to criticise, i come instead to praise caesar. the shirt, in common with previous offerings from route is unadorned luxury, insofar as such can be achieved by a mere t-shirt. who knew you could make cotton this soft and snugly? the quality of the screenprint is exemplary; it's not the sort of applique that is going to disappear in the spin cycle. indeed, there are several more realistic verisimilitudes of the campionissimo available plastered across competitors' t-shirts, but in this case, i figure that is to seriously miss the point. as i have already been at pains to point out, there has to be some defining standard to lift the wearer above the humdrum. how many folks do you know who wear ucla hooded sweatshirts despite having left secondary school at 16? 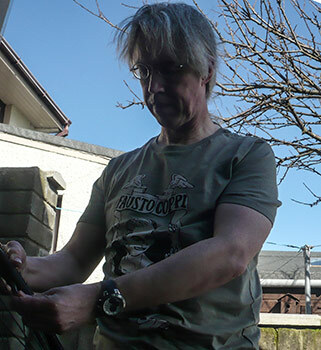 wearing the stolen goat, limited edition tee (only 100 available) marks you out as a connoisseur from the ordinary, run-of-the-mill cycling fan, maybe less than well-informed as to the provenance of the cover illustration. any smirks from passing chaps wearing care-worn molteni caps, can be dismissed without conscience. there is a time and place to be smug, a sentiment you can share with cancellara on the ronde finish line. come the revolution, the world will be our oyster (or something like that). 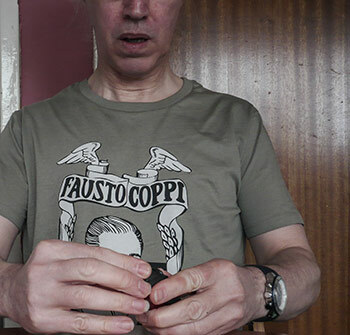 if you fancy being one of the five score cognoscenti, secure in your own toe-clips, the fausto coppi t-shirt can be ordered direct from the stolen goat website for a mere £25, in sizes small to extra large. i should have been at the scottish cycle show this weekend, an event that will be done and dusted for another year by the time you read this. the show's organiser, rowan mackie, has been particularly generous with the wording on my press pass for the initial two years of the bike show, starting as sir brian palmer, being promoted to lord by year two. however, last year when it moved lock, stock and barrel from glasgow's secc to sir chris's velodrome, i was off galivanting in southern france at the invitation of one of the uk's premier clothing providers. my press pass in absence was decidedly less complimentary, though all meant in the best possible taste (as kenny everett would have said). i think i really ought to be supporting my national cycle show, partly because it's a really good show, and secondly because it doesn't involve an overnight coach journey as next weekend's bespoked show most certainly will. i had every intention (honest i did) of being present throughout saturday, keen to once again renew acquaintances with brian smith and jimmy mccallum and perhaps be join a lengthy queue to say hello to sir chris. 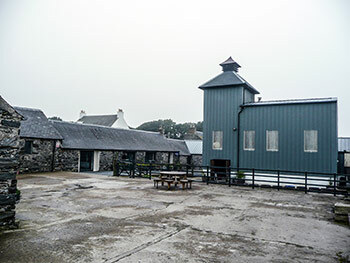 few of you will be unaware that islay features a total of eight malt whisky distilleries, with a ninth on the way by september 2015. and then there's another one on jura. if single malts are your thing, there are few other places in the world where you can over indulge, but only to the point of excess without incurring several air miles. 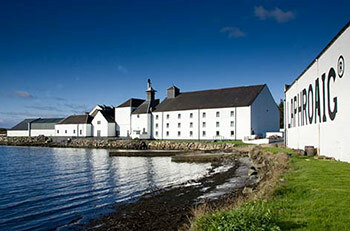 the number of visitors making the pilgrimage to the three southernmost distilleries alone has prompted the construction of a foot/cycle path all the way from port ellen village to the furthermost point at ardbeg. it's quite possible, during the summer months, to come across an endless stream of pedestrians carrying distillery bags walking the adjacent road. it truly is a wonder that after a few drams, there hasn't been an accident. but the reason for my not attending the sir chris hoy velodrome this weekend was entirely down to the (late) arrival of a member of european royalty. 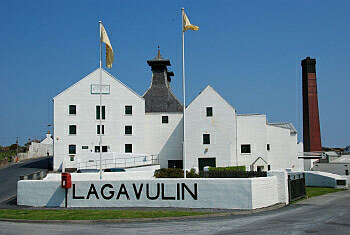 in deference to the personal nature of the visit, unlike one or two other blogs, i'm going to refrain from mentioning who it was, but it transpired a few months ago that he and his party were keen to visit at least lagavulin and laphroaig by bicycle. as in the best laid plans of mice and men, arrival by helicopter at ardbeg distillery was cancelled due to bad weather on the mainland, though i can't deny it was rather wet at the distillery. their eventual arrival by seaplane (no, i'm not making this up) was around three hours behind schedule and i had resigned myself to saying hi, and heading off alone. 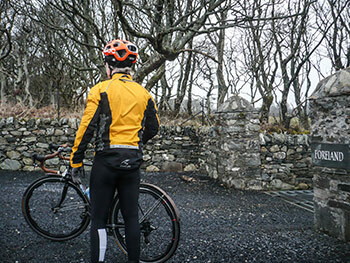 however, stalwarts to the last, including renowned whisky writer, charlie mclean (he appeared in the scot's movie angel share) we had a sizeable peloton meandering the narrow road from ardbeg to lagavulin and subsequently laphroaig. even two of the special branch guys rode bikes. after that point, we transferred to islay's west coast and kilchoman distillery on a luxury coach, the singletrack road providing something of a challenge for the hapless driver. 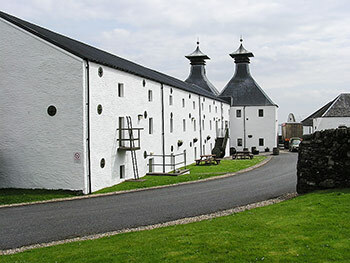 my cielo was, at this point, in the luggage section of the coach, ready for the return cycle to bowmore. so now my palmares includes cycling with royalty. and rowan, i promise that i'll be at the scottish bike show next year. i like long sleeves. i figure it's probably some sort of a security thing; not as in those large gentlemen wearing shades, black suits and ear pieces but more like a security blanket. if i were to spend my weekends playing pooh sticks on the bridge over the river sorn, i'd wear long-sleeves. life as a professional rider, however, must be full of trials and tribulations, particularly when it comes to choice of apparel for the day's racing or training. thankfully i do neither of the above, and no-one has ever seen fit to offer a professional contract (with good reason), a situation that suits me most amicably. i can head out on a friday afternoon, work permitting, and ride directly to debbie's cafe without ever having to pass go. if i wear a long-sleeve jersey, even in the height of an islay summer, nobody cares too much, and i can moderate my speed if the ambient temperature would have more amenably suited short sleeves. no amount of cycling hither and thither at varying tempos will ever convince me that short sleeves and arm-warmers are any more effective than a decent pair of long-sleeves. especially when the armwarmers have that cosy fleece lining, just like that inside a long-sleeve jersey. no doubt, if i were a professional i'd appreciate the flexibility of being able to remove the armwarmers if my exertions brought tears to my arms. but i'm not (a professional that is) and i prefer my long-sleeves. if you carefully study rule number 82, it clearly states "under no circumstances is there to be any exposed skin between the hems of your kit and the hems of your arm warmers.". 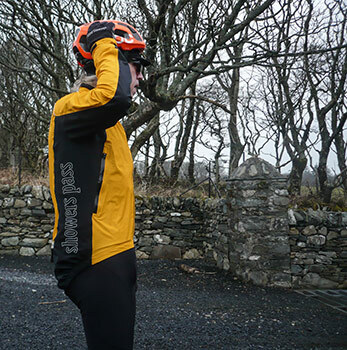 though careful pre-ride preparations should minimise any chance of this happening, there's always just the chance that a moment's inattention before stepping out the door will have seriously minimised the overlap between at least one sleeve and the top of an armwarmer. you can imagine the embarrassment and ructions that would follow on entering a den of froth supping, blissfully unaware of any exposed skin north of the elbow. when riding hard into a headwind, one has little need of such potential distractions. with a long-sleeve jersey, you simply can't fail. yet i watch messrs valverde and his team-mates, surely more used to the warmth of the spanish plains, participating in the spring classics, in seriously inclement weather. but, in the latter stages, riding in short sleeves. i doubt that would be me; i'd be clad in long-sleeves throughout, particularly, at the risk of repeating myself, when there's soft fleecey stuff inside. and i really must have sleeves that cover my wrists and festina watch. there was a time when long-sleeve cycle jerseys were just a tad too economical on the sleeve length, leaving long-armed individuals such as myself looking as if wearing a garment that had shrunk in the wash. modernity has made sartorial propriety ever more important in the peloton, a factor of which the chaps in livingston are obviously well aware. 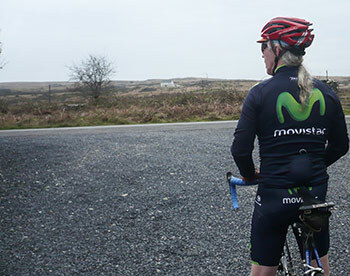 and movistar's long-sleeves are very washingmachine friendly. it's also a little known fact that the three rear pockets on a long-sleeve jersey are more strategically placed than those on a race-fit short sleeve version. aside from the fringe benefits offered by the former, the ability to insouciantly reach behind for a rainjacket, mushroom and cheese pate sandwich (wholemeal bread) or strawberry yoghurt flavoured energy gel is often quietly impressive to one's domestiques. and though probably filed under the heading of individual pecadilloes, i unconsciously warm to the waffle texture on the exterior. i'd happily spread rumours that it offers the same aerodynamic benefits as those dimples zipp have hammered into their carbon wheels. it would take a physics degree in fluid dynamics to prove me wrong. how on earth endura can sell these to alejandro valverde for only £69.99 i simply cannot fathom. earlier this week i was disappointed to bring news that the number of folks making use of a bicycle to get themselves to and from work, though increasing in number, as a percentage of the population had remained the same over the last decade. there could be many a perfectly good reason for such a state of affairs, but one of the most obvious is the perceived danger of riding on increasingly congested city and urban roads. unlike denmark, holland and portland, britain has very few practical cycle lanes, and where it has, they're often every bit as dangerous as riding in recognised car lanes. though the advent of british summertime last sunday has offered a few more hours of daylight in the evenings when it probably matters most for cycle commuters, there are still those who have need of travelling at the hours of dawn or dusk and thus a decent means of making themselves as visible as possible. dressing like a paramedic may not be everyone's idea of sartorial elegance, but there's little denying that the colour chartreuse has much going for it in this respect. add to that various reflective panels or additions to one's apparel, coupled with as many lights as the frame will bear and many must fervently hope that this agglomerated brightness will make them less of an unseen target in the midst of busy traffic. 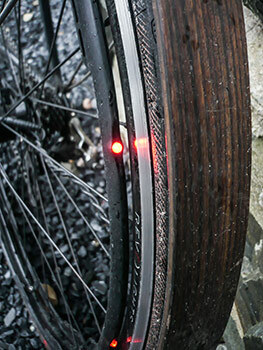 though there have been one or two instances of tyres fitted with reflective strips around the sidewall, i'm unaware of anyone who has actually fitted lights to a pair of bicycle wheels. and though i had my suspicions as to the effectiveness of the idea, in practice it's one that has been very cleverly thought out. 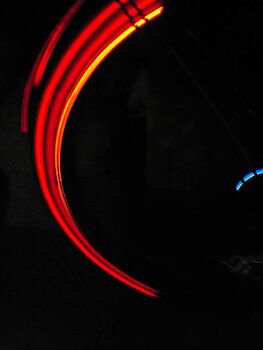 revolights wheels feature two abs plastic hoops bolted to 'v' brackets rivetted to an alloy wheel rim, sandwiching the latter circumferentially between these hoops, sited just below the rim's braking surface. 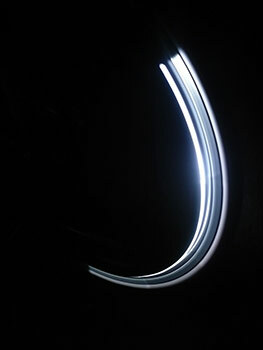 fitted at frequent points along the outer edge of each is a light emitting diode (led), white at the front and red on the rear. each side contains twelve leds, making two-dozen per wheel. in order to power these tiny lights, each hub features a removable battery clipped to a plastic bracket zip-tied to the hub shell. the batteries each have a connector linking to twisted cabling reaching the lighting hoops. the batteries can be relatively easily removed and replaced by sliding them from their brackets for charging purposes. the wheels arrive with two usb cables allowing each battery to be plugged into the ports on a computer. it took around two to three hours to fully charge a completely drained battery, providing on average, about six hours of lighting. fitting straight to the bicycle (i opted to use my chris king cielo for review purposes) was as simple as any other set of wheels, though if replacing the batteries before riding, i'd make sure you access the rear from the non-drive side. the alternative is often a slightly mucky process. the instruction manual comfortingly points out that, in order to have the revolights form a red arc on the rearmost half of the back wheel and a white arc at the front wheel, magnets require to be fitted on a front fork leg and a rear chainstay. without these magnets, once up and rolling, every light on each wheel will light simultaneously. though i thought this rather cool, simon bever of uk importers pedal pedal pointed out that when riding in the dark, the rotating front lights would likely dazzle as they passed the brake caliper. cleverly, those strategically placed magnets manage to impose their will upon the lights, to illuminate only front and back. there's no denying the effectiveness of those rotating lights even in bright sunlight (the mighty dave t claimed that he was being blinded when following my wheel on the sunday (morning) ride). 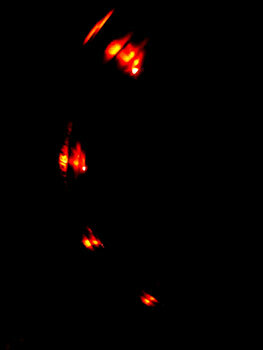 in the dark, they are quite stunning. however, bicycle wheels have a far more important job to do than simply offering heightened visibility to surrounding motorists and pedestrians; negotiating britain's less than pristine road surfaces. in order to verify this part of the equation, i took the cielo along the abattoirenberg forest road and over several cattle grids, apparently without any untoward behaviour. however, over one of the exploratory rides, the battery on the rear wheel fell off after cycling for 22km, apparently displaced by islay's crap roads. i'm willing to accept at least a part of the blame, because i've a notion i maybe didn't secure it to the hub as well as i ought. in which case, it's something worth checking before setting off; i was in the middle of the countryside in daylight, and it was easy to walk back along the road to pick it up. losing it in the rain, at night and followed by motorised traffic would make for a more onerous recovery task, if it hadn't already been run over by a car, bus or taxi. the only truly negative feature i could pinpoint would be that of weight, and to make matters worse, rotating weight. my regular wheels consist of chris king r45 hubs married to dt swiss rims, both of which weigh pretty much the same as the revolight rear wheel alone. 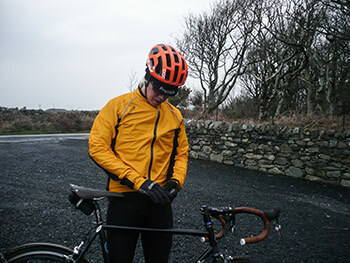 though this proved little problem on the flat even into a gale force headwind, as soon as the road headed upwards, that rotating weight proved a bit of a handicap. however, it's worth bearing in mind that unadulterated speed is rarely a concern of the city or urban commuter. the flat depth of the carrier hoops on each side of each wheel were also surprisingly affected by strong crosswinds. not as badly as has been the case with several deep-rimmed carbon wheels, but noticeably enough on wide-open roads. again, however, that's relatively unlikely to be something experienced by the commuting cyclist, unless you live in the hebrides. if these are the very wheels for you, it might also be an idea to stock up on one or two long valved inner tubes, i suffered a couple of punctures during the review period but had only standard 42mm valves. the lighting hoops prevent standard direct-on pumps from accessing the smaller valves (and also make it very difficult to true any recalcitrant spokes), though are easily accessed by cycle pumps using screw-on hoses or chucks. it's a well thought out idea that elicited several complimentary remarks from passing motorists and truck drivers of my acquaint. coupled with high visibility clothing and properly fitted lights, i really can't see how these could fail. though they may not be the sort of wheels that cavendish would choose for an attack on the green jersey or by froome for yellow, there's no denying that the revolights offer a highly competent, if heavy set of wheels that could conceivably save you from hearing the phrase "sorry mate, i didn't see you." revolights are sold by pedal pedal via their website and come in three distinct flavours: fixed wheel, single speed or cassette (reviewed), all of which retail at £399. every now and again, for no particularly discernible reason, my eyes wander to the prospect of a new snare drum. this is not because there is anyhting fundamentally wrong with the one i already own, but its maple shell is a mere five inches deep, and i rather favour something that provides an extra one and a half inches of depth. and despite my manifestly stated preference for wood, i currently have my sights set on a brass individual. the real problem here is that, not only is the model in question way better than any percussive ability i might own, but it is several pence dearer than is seemly to spend on such a potentially noisy object. unsurprisingly, these notions have to be kept under wraps from mrs washingmachinepost, for there is little doubt she would heartily disapprove. i am hardly the world's most over-employed percussionist and in similar manner to that of bicycles, she will fail to comprehend why i should need another one in the first place. all will likely come to nought, but meantime, the sonic properties of this expensive brass need to be examined in greatly procrastinated detail. and that's where youtube comes in. for it is now customary for american stores such as fork's drum closet and memphis drumshop to post videos of the various snares, kits and cymbals they have in their premises that the uninitiated and probably well-heeled can compare and constrast prior to letting loose with the credit card. unfortunately, i am unaware of any similar service for those keen on joining the pelotonese. for example, it's all very well for me and my peers to exhaustively proclaim the benefits of cycling, but more often than not, without going into greater detail. will the freshly converted wish to ply their trade offroad, by touring, racing, sportives, commuting? and for goodness sake, do they really need anything from eighteen to twenty-eight gears? is pedalling life really that complicated? to understand even why it's necessary to ask such questions in the first place, prospective cyclists are perhaps better resorting to a good book. something like get on your bike for instance. compiled and written by rebecca charlton, robert hicks and hannah reynolds, its content is unlikely to be of particular interest to the bulk of you reading this, but it's the very item that would save you hours of explanation to inquisitive acolytes, possibly several times in one year. covering topics such as why cycle in the first place, where to start, what sort of bike might be appropriate, clothing, safety, maintenance and even weight loss (which is why we all ride in the first place, right?). it is copiously illustrated with colour photographs, mostly for inspiration rather than specific to any of the covered topics, but that's not uncommon in this type of book. i do think opening with three case studies might not have been the best strategy, possibly implying that taking up cycling might have to be based on need rather than desire, but it is neat to find out how cycling has been of personal help to some. i'm also not keen on one of their opening phrases "This sport means different things to everyone...". not everyone views cycling as a sport, so i'd suggest replacing it with 'activity'. 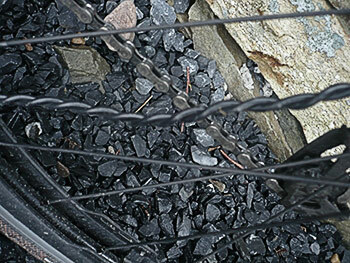 at least the section on cycle maintenance doesn't recommend removing the whole tyre from the rim when fixing a puncture as did a recent publication of similar intent. in direct contradiction to my remark above, peppering the book with case studies and quotes from those who may have recently started cycling, works rther well. firstly, it lets the reader know that cycling is an applicable activity in all walks (sorry) of life, and secondly provides reinforcement to the wealth of information contained within the book's many chapters. the layout also encourages dipping in and out, choosing subjects that seem more important from the reader's own perspective, and not necessarily having to be read from start to finish. 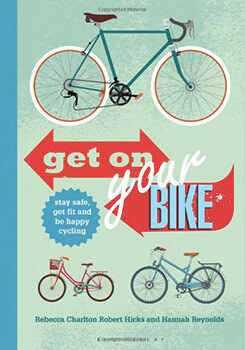 the best features of 'get on your bike' is the enthusiasm that pervades each chapter and the complete lack of a superior attitude from the authors. 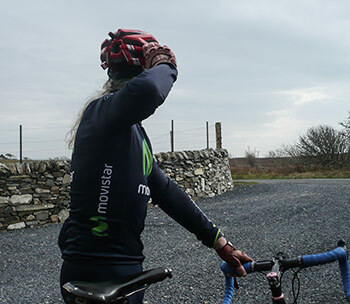 we've all been there at sometime or other, and what newbie cyclist wants a self-appointed expert exercising their own ego before they've even sat in the saddle? a worthy book that would make anideal gift or purchase for anyone considering cycling as an activity or winning gold medals. in july 2004, when i still bought my weekly copy of cycling weekly from the newsagent down the road, i came across a photo of a jersey that i'd never seen before from a clothier i'd never heard of. captioned as a classic jersey, it was white, with short sleeves and a black hoop on the left sleeve and was, as it turned out, the first offering from rapha. ego was at stake at this point, for i considered myself remarkably well-informed on such matters; how on earth could this have sneaked by my hebridean radar without my noticing? to make matters worse, such was the styling of the garment, that i gained the impression rapha had been around for years, hiding behind a pink sofa. 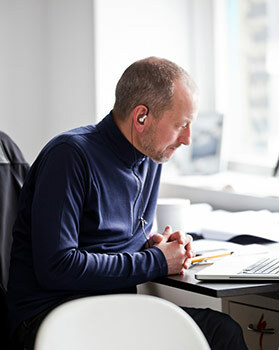 eager to find out more, i telephoned the number appended to the feature in the comic and spoke to clare, who passed me onto simon mottram who was happy to spend around forty minutes or more discussing not only his new company, but related aspects of the cycling world. it turned out that my impression as to the previous longevity of rapha was not mine alone. according to mr mottram he had fielded a phone call only a day or two previously from a gentleman who professed to have been a long-time fan of the company, and was delighted to see the range now available in the uk. aside from everything else that has changed in the intervening almost ten years, there is pretty much zero chance of simon mottram answering the phone when i ring up for a chat. in fact, so much has rapha grown over the last decade, that if simon suggests we might have a word about something on the phone, i have to arrange with his firewall as to when there might be an appropriate gap in his schedule for said conversation. 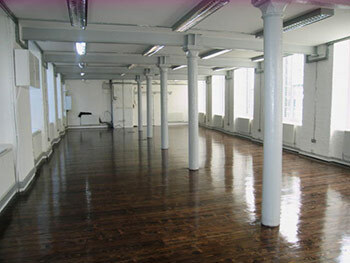 and the company has grown from those initial three folk in one half of a floor in the former piano works in kentish town's perren street. up till that point, quality cyclewear meant either swiss or italian, little if any of which conformed to a classic styling and most certainly meant polyester or lycra. 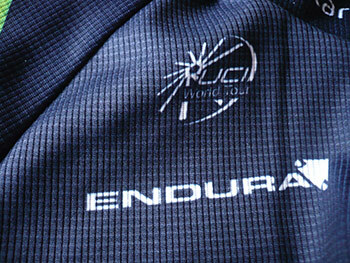 so, in 2004, what did simon mottram hope to achieve in relation to both the available cycling apparel and cycling as an activity? "I wanted to create cycling clothing that was better quality; clothing that was both stylish and high performance and that didn't force the rider to choose between the two. "As a rider and a fan I also wanted the sport of road cycling to take more pride and have more confidence. The sport seemed to have talked itself into a bad place, with poor products, generally poor distribution, and too many unimpressive, small-minded people with low expectations. I thought, and still do, that road cycling is the greatest sport in the world. The industry around it needed more confidence, ambition and higher standards. In our own small way we have tried to bring those things about at Rapha." no matter your personal views of rapha, whether you care for their style offerings, what you think of their pricing or how much you could care less about team sky, it seems well-nigh impossible to think of modern day cycling without them. there are few others about which that can be said. ten years is both a brief moment in time and an eternity in business. had simon expected rapha to be the size it has become in just under a decade? "It feels like a long time to me! It's been a 24 hour a day obsession for the last twelve years. That's a quarter of my life and half my career. "I thought Rapha could do quite well and I raised money with a business plan that showed good growth and profitability within three years (it took five). But I didn't imagine that it could be as successful as it has been. We have been helped enormously by the huge boom in road cycling in most markets around the world, a boom that shows no sign of slowing." as simon mentioned above, this boom in road cycling has not been confined to the british isles, in part, one would imagine due to an internationalisation of the professional end of the sport. previously the province of western europe, and not necessarily including the uk, it has seen greater influence arrive from russia, north america, australasia and most recently, the far east. 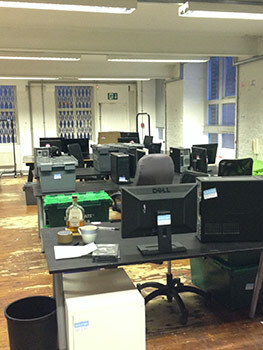 on my first vist to perren street, there were only four folk in the office; rapha is one heck of a lot larger today. 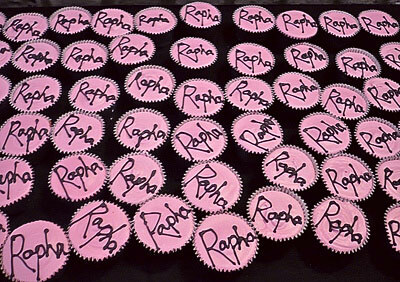 in how many countries do rapha currently have representation, and roughly how many employees across those locations? Cycle clubs: a further 75 staff in total and growing rapidly in London, Sydney, New York, San Francisco, and Osaka." computer programming often incorporates an 'if this, then that' model to allow for variations of input. i believe this would be regarded as flexibility. however, what has always impressed about rapha's expansion and seeming diversification is that most of what we see happening is the result of carefully laid plans. even aspects that i would have sworn blind were as a result of something else they'd successfully achieved, were more than likely the result of decisions made in previous years. is there still a specific plan for, say, the next five years, and is simon willing to share any of those at present? "We want to grow by keep doing what we are doing by creating more products (especially for women) that delight customers and make their riding time more fulfilling. To connect more people to the sport of road cycling through content, places and events, to deepen our relationships with Rapha customers and link the community closer together while continuing to grow internationally, especially in Asia and Europe, expanding our localised web sites and communications and opening more cycle clubs. "And all the while, keeping Rapha special while we grow, never losing sight of who we are and what makes us different (that's perhaps the most important of all)." though cycling would undoubtedly survive even if rapha had never poked its nose above the parapet, it's a brand that is so intrinsically entwined with cycle clothing that a degree of separation would be almost unthinkable. yet the cycle clubs provide state of the art coffee, rapha has placed both yak leather clad feet squarely in the (cycle-related) travel industry, and its sponsorship of domestic british cycling leading up to the current partnership with team sky points to a considered diversification. simon spoke to me several years ago about rapha perhaps one day becoming 'rapha the brand' rather than 'simply' a cycle clothing purveyor. is that a direction in which they are still specifically heading, or one that might come into being in a more organic and less forced manner? 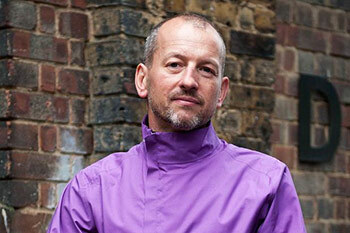 "I have always thought of Rapha as a brand and not just a clothing supplier. And that is a brand in the best sense of the word: something that amounts to more than the sum of the parts, that means something specific and valuable in the customer's mind. We will never expand beyond road cycling, but we aim to be ever more closely associated with the sport and, hopefully, enhance our customers' lives through great products, experiences and relationships. That sounds like a good kind of brand to me." earlier this year i had a phone conversation with rapha's travel manager, brad sauber, during which he outlined the minutiae of their future plans, and at that point, i began to see how rapha had now become a more fully realised brand. now it (almost) all made sense. 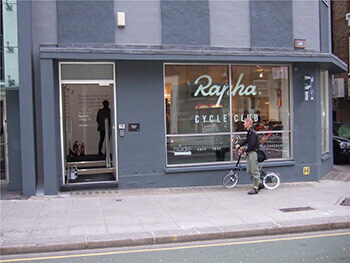 has the expansion of rapha travel as an in-house operation moved the company further along that route? "Yes. Travel is still quite small for us but it is very important indeed. 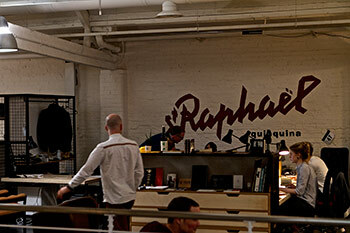 It sits right at the heart of what I think Rapha is all about: the love of road cycling and road racing. If I could distill what Rapha is all about into one thing, one moment, it would be riding up a legendary col in Europe, in the company of friends, with nothing else to focus on but the challenge of making the top. 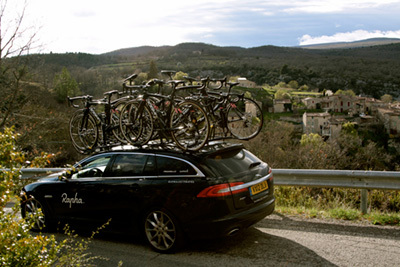 That's exactly what Rapha Travel offers. We are investing a fair amount in the travel business and are excited about its growth potential." 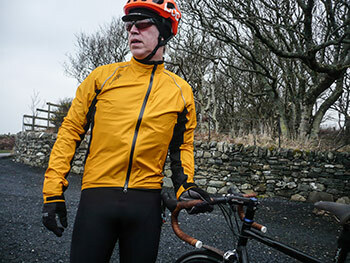 arguably, perren street has forced something of a route change in the clothing ranges offered by a number of new kids on the block, as well as several longer established cycle clothing purveyors. though the beauty of cycle racing remains at the heart of their purpose in life, rapha currently pay almost as much attention to those who solely or additionally incorporate cycle commuting into their daily lives. the recent release of the spring/summer city riding range has pushed the envelope just a few smidgeons more, added to which a rather delectable collection of european city cycling guides attests to their investment in this perhaps previously mundane aspect of cycling. in our last phone conversation, simon alluded to significant developments in this year's autumn/winter city riding range. does he currently consider that as an area ripe for expansion? "As road cycling becomes a more acceptable and aspirational part of our culture and cycling becomes every more central to many of our lives, I think there is a huge opportunity for the kit and aesthetics of our sport to cross over into popular culture as well. Our customers are bike riders every day, not just when they are riding at 20 miles an hour in lycra. I think they will welcome clothing from Rapha that works for the many hours when they are not racing or training. 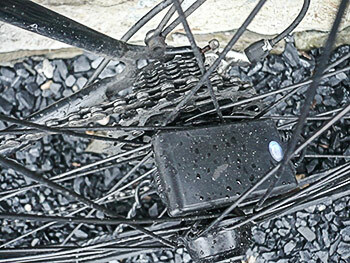 Our city riding products have done well to date, but we think they can grow much further. "There is a big trend back towards active sportswear at the moment and 'everyday' cycling needs to be part of that. But the clothing and other products we offer will need to work a lot harder to be credible in an everyday wardrobe. Colours, fabrics, fit all need to be attractive to the customer as much as the performance of the garments. All this applies to women as much as men, of course. It will be interesting to see what people make of the new city ranges for men and women this autumn and next spring. "As well as the product opportunity, I would also like to see the culture of cycling becoming better understood and better regarded so more people are drawn to the sport." the announcement at the tail end of 2013 that rapha would no longer sponsor a domestic racing team (rapha condor jlt), but find other ways to support british cycle racing at a grass roots level was certainly a disappointment, not only for those involved in the team. but sponsors move in and out of all kinds of sports, particularly when their marketing changes tack, or they perceive the current setup has effectively run its course. have rapha identified alternative ways in which they might support the domestic racing scene when the team sponsorship finishes at the end of the year? "Yes we have. We think that road racing in the UK needs more financial support at the grass roots racing level. We have hundreds of sportives, but the entry points to racing and the ladder of progression through racing are difficult to understand. We need more races and existing and budding race organisers need support. British Cycling is working hard to promote racing, but we think we can lend a hand too. We will make an announcement of our plans this summer." 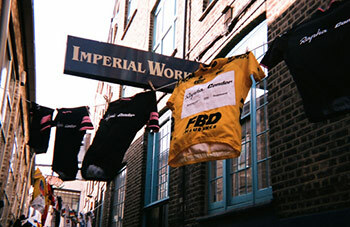 tuesday's april fools spoof announcing rapha's impending shift to one of the cocos islands notwithstanding, this past weekend saw a wholesale shift from their erstwhile home in perren street, to more spacious accommodation in the new imperial works in tileyard road near london's kings cross station. 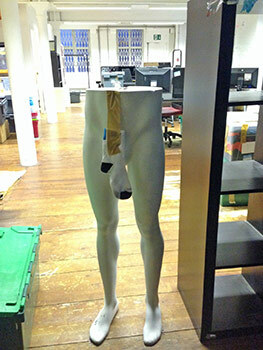 moving is never the best of experiences, particularly when there's ten years of accumulation to deal with. as the sole remaining original rapha employee (albeit, ceo), will simon be sorry to leave the rabbit warren that is the kentish town edition of imperial works? between that and the company's implicit association with perren street, it must seem like the end of one era and the beginning of the next?" 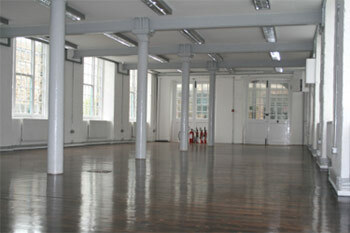 "We moved into Perren Street in April 2005 and have gradually expanded to fill the building. For all its issues (leaking windows, endless stairs, the occasional break-in) it has been a great home and is part of who we are. We have good friends in the neighbourhood too. "But the new Imperial Works in Kings Cross is a definite step forward. For the first time, we have been able to design an office from scratch and organise it to match the way we work and the way the company operates. It's a stunning space and I am going to be very proud to welcome visitors there. I'm confident we can retain the charm of Perren Street and combine it with the wonderful new space that will actually help us in our work." of all the cycling i've done over the years (and in light of the sheltered life i lead, that hasn't been as extensive as i'd love to pretend it's been), the days spent in le grand banc during the first rapha retreat, have undoubtedly been the finest. what's the single most memorable or important factor that means the most to simon mottram over the past ten years? "The whole journey has been amazing. Creating, from scratch, a brand and business that matters to people and enhances their enjoyment of cycling has been a wonderful thing. Ultimately, it is about having an impact and making things better. As an active road rider myself, my enjoyment of riding and the cycling-related things that surround it have been transformed in the last ten years." i'm far too laissez faire to harbour much in the way of ambition. yes, i'd love to be able to cycle a bit faster, and i wouldn't mind having just one more colnago in the bike shed, but otherwise, subject to any earth-shattering and unforeseen circumstances, thewashingmachinepost is likely to lumber along the way that it's always done. but then, you knew that already. what does the future hold personally for simon mottram? "First of all, it's about trying to avoid losing too much speed as I get older. I am inspired by those wiry 60 year olds in France, with legs as strong and brown as if they were carved from oak, still riding every day and loving it. "I am as besotted with road racing now as I was ten years ago. And, although we are now ten years old and have come a long way, there is still so much to do. It pains me whenever I open the newspaper and see all that coverage of football, with rarely a mention of road racing. The sport has a long way to go and Rapha can play an important part in getting more people to discover the joys of road cycling. I'm looking forward to leading the company through the exciting years ahead. 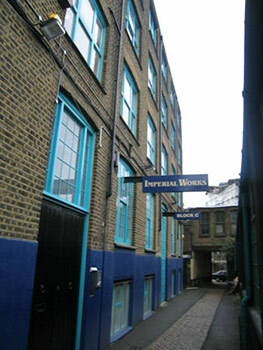 rapha's new address is now imperial works, 18 tileyard road, london, n7 9ah. the phone numbers remain unchanged. last year's milan sanremo was notable on two related but separate accounts. firstly, the apalling weather led to bits of the route being hastily dispensed with on the grounds of being covered with several inches of snow. this led to the teams being stopped in their tracks (somewhat literally), bundled onto their respective team buses, and driven to a slightly more distant and second start point. for all that the cover of this week's comic purports that cycling makes you tough, many of our heroes elected to remain aboard their cosy, coffee inflected coaches rather than face the admittedly grim reality of a few more hours in the cold and wet. so much for being made of sterner stuff, though doubtless many of us would have opted to do likewise. 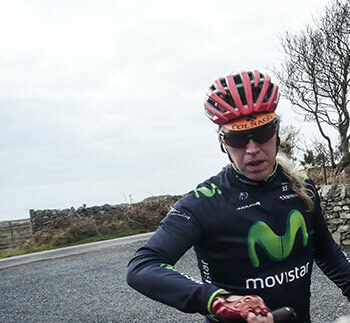 not unnaturally, several hours in such conditions meant that little was seen of colourful team jerseys, almost all of which were hidden 'neath every item of waterproof clothing that could be found at the back of the team cars. sponsorship of the professional world tour teams not only demands, but pre-supposes that the apparel supplier will have something sturdy enough to keep the elements at bay, even though few had expected this level of adversity as the riders headed towards the cote d'azur. this is where the second notable happening at the 2013 msr arose; several riders, with blatant disregard for their official sponsors, wore castelli's gabba jacket, a single act that must have done wonders for sales at the expense of those who'd paid for the privilege. this year's event suffered slightly more favourably at the hands of the weather, at least in terms of a lack of snow. there were, so far as i know, no deviations from the prescribed route, but cold, heavy rain deemed it a foolish choice not to wear waterproofs. this year's waterproofgate, because there was bound to be one (we'll be looking for another next year) concerned the katusha team; though their jerseys are predominantly red and white, team members such as alexander kristoff who took the final victory were seen riding in black and orange waterproof jackets. eager eyes and lenses brought the subject of those jackets to the fore, questions very quickly answered by way of a press release only the following day from showers pass, eagerly admitting to being the responsible party. i have featured a number of products from the waterproofs only manufacturer from portland, oregon, but it certainly came as something of a surprise that they had infiltrated cycling's world-tour; if they'll forgive me for saying so, their profile till this point has been biased somewhat more heavily on the commuting side of the chainset. however, it seems that rather than showers pass knocking on katusha's door, the situation arose the other way round. so, if it suited the winner of milan sanremo, it's bound to be just ginger-peachy for the rest of us. more often than not, when i have been sent waterproofs for review, i have to wait an average of three weeks before any meaningful precipitations arrive for my benefit, i agree, it's hard to believe that could ever be the case in the hebrides, but this time round, our weather fulfilled its reputation. the showers pass elite pro jacket is a waterproof, breathable jacket that can be neatly folded or shabbily scrunched and stuffed in a rear pocket, either to wait for the incoming rain, or to stash after the clouds have blown over. the waterproofing extends as far as fully taped seams throughout. to aid the breathability, the jacket features two taped zips on each side panel along with a zipped slot just below the collar on the back. as far as i know, showers pass are the only clothiers to offer the latter, first seen on their highly effective softshell. cargo space takes the form of a full-width, zipped pocket at the rear into which i managed to stuff a chunk of fruit malt loaf, a bigger than mini, mini pump and a tyre lever. none of those were anywhere near to filling the available space. those long, orange sleeves end in superbly wide cuffs that can be easily and almost infintely adjusted via velcro straps. this arrangement seems preferable to elasticated cuffs as it's simplicity itself to fit the sleeves over a pair of showers pass outdry waterproof gloves before pulling tight to keep the cold out. after several hours of pedalling, even in the wet, if it starts to get just a bit steamy inside, pulling open the velcro allows a cooling draught of air. a first ride opportunity arrived the morning after the jacket did, providing almost two hours of wind-driven heavy rain in which to ride and, in this unfortunate case, stop to fix a puncture. the planned ride was deviated from long enough to collect another inner tube from the bike shed before continuing to debbie's for coffee and a toastie. 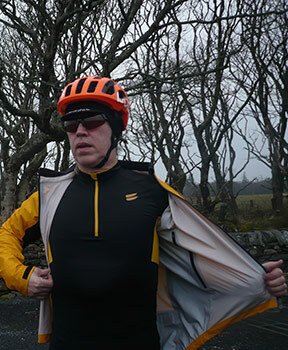 though the coffee stop adheres to no specific dress code, it seemed only polite to remove the elite pro jacket when supping froth, an act that revealed a bone dry inner jersey and armwarmers. with the rain obviously retreating in the face of an increasing wind, the ride home became a smidgeon toasty at which point open sleeves and the two side-vents comfortably accommodated the increase in temperature. though the foregoing can be easily adjusted from the saddle, even by inept riders such as myself, i confess i had to stop for a minute or two to open the neck vent. 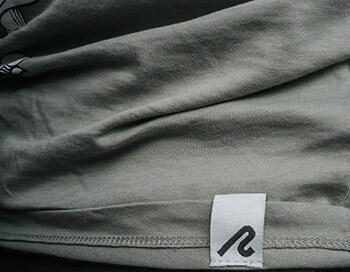 the elite, breathable fabric is impressively thin, considering all that it manages to achieve on our behalf. it's also nice to see that the words showers pass are highly visible both on the side panels and the dropped tail, and the bright orange ought to minimise the likelihood of anyone saying "sorry mate, i didn't see you.". though the world tour will eventually move on to warmer climes, winter has a few more months of activity on scotland's west coast, and doubtless other regions of the uk. keeping dry isn't so much a need or desire as it is a career choice over here, and this jacket may be the very means of gaining early promotion.